In Maya, there are two types of file format you can choose when saving a file .ma and .mb these file types are very different from each other and store content very differently and have different file sizes. But there is a bigger difference than the ones listed above and you might have questions that you want an answer for What is the difference? and Which is a better file format? 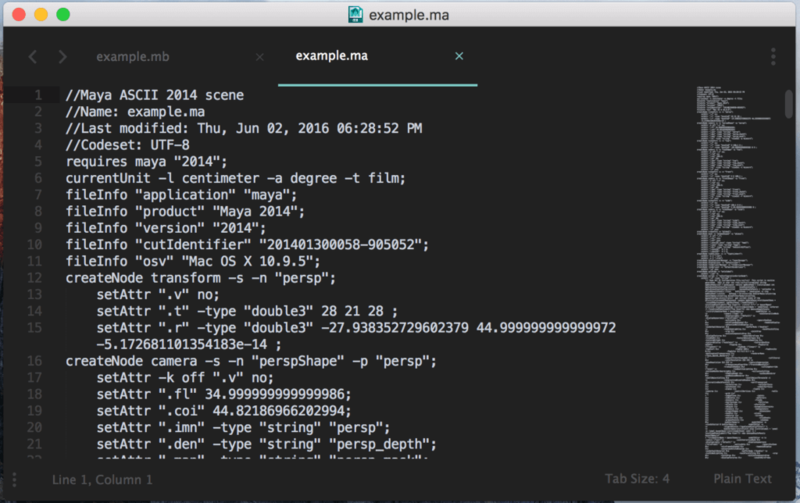 Maya Binary stores all the content in numerical data and stores exactly as it was represented internally. This means it has a smaller file size and faster to read for Maya in terms of performance. However, the disadvantages are if the file has been damaged it cannot be recovered quite often times and has a higher chance of data corruption. Maya ASCII the ASCII stands for American Standard Code for Information Interchange this stores all the content in characters that are encoded in UTF-8. This means the file is plain text and contains characters which when opened in a source editor can be seen as string data. The file size is also larger and can take a while to open in Maya. The file can be edited to remove the string that is no longer in use or was causing conflict while opening the file in a different Maya environment/setup. There is an example of files with the same content stored in the two different formats. Maya Binary file is not readable. 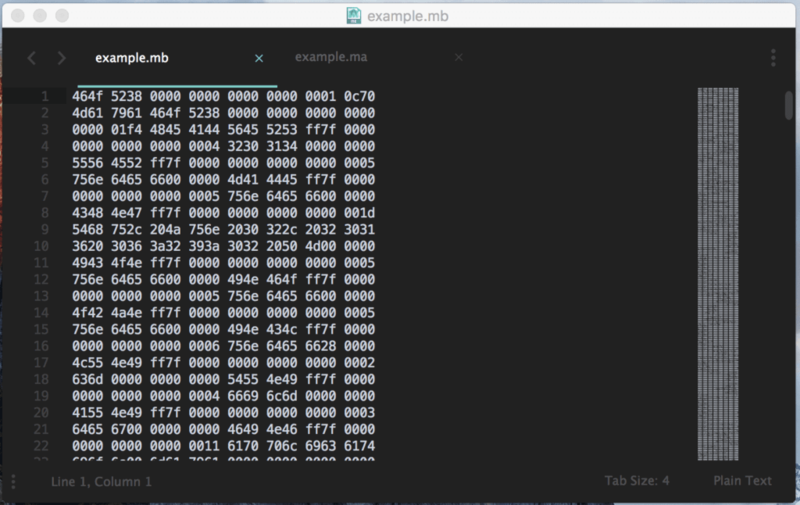 Maya ASCII is readable and displays information like which version of Maya the file was last saved in and which OS was used to create the file. I would recommend Maya ASCII because the files don’t get damaged very often and lets you have access to the content stored in the file. It can also be version controlled which is a good practice if the file needs to have multiple versions or has a big team working on it.